I want to thank the publisher, HMH Books for Young Readers, for supplying me with an ARC of this book to read and give an honest review. Receiving this book has in no way influenced my opinion or review. I have to say that I went into this book with higher hopes than I had from the first book. The first book had way too much narrative for me. So my hope was that this book had more interactions between the characters that would show me who they were and how they thought. I can say that I did like this book more than the first one, but it still fell just a bit short for me. If you haven't read the first book in this series, stop here. There may be spoilers from the first book that you don't want to read about! This book picks up a few months after the testings candidates have started their studies at the University in Tosu. Their memories of The Testing have been wiped clean and they are making new memories, new friends and learning what their place in society will be. Once again they are examined to find out what part of society they would best fit in and where they would be most productive. Cia and Thomas are together but Cia is keeping secrets. She, unlike the other candidates, knows what happened during the testing. And the secret of it is weighing down on her with much heaviness. She believes she is past having to worry about having this knowledge. But suddenly finds herself having to look over her shoulder in fear that someone knows what she remembers. I can't say I like Cia, but I don't dislike her, either. She doesn't stand out to me or make me feel connected to her. I fell like I'm just floating along through her story as she narrates it. Thomas is holding out on his secrets, as well. When they are separated through their placements, Cia learns things about the government and their plans that force her to rethink her place in society, and her relationship with Thomas. But Thomas, like Cia, is not particularly memorable. I can't really picture him in my mind and he doesn't make me think of swooning when I read about him and his actions. I can tell he loves Cia, but it's not a love that makes my heart ache for either of them. This book introduces a bunch of new characters, who will surprise you with their actions and with what they reveal about the government's intentions. I can say that I found this story more interesting than the first book. 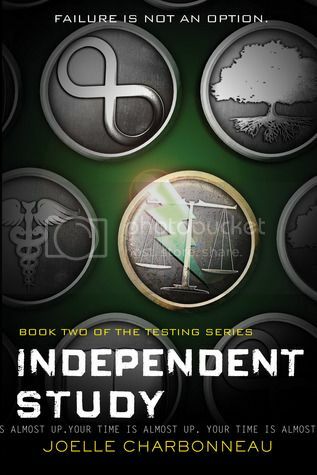 I like how the students are tested into different areas of study, it's reminiscent of the factions in The Hunger Games. And each study area is a little world unto itself, with it's own rules and regulations as to how the students should act. And as with the first book, no one is who you think they are. Those who you trust may turn on you at any moment and those you thought were against you turn out to be your best allies. I will say that I was quite bored for most of the story. I really didn't get into it until about 75% when the action really started to happen and the story started to truly unfold. And unfortunately, I figured out the ending and who the characters involved were before the end of the book, which kind of ruined the surprise for me. While the first book truly reminded me of The Hunger Games, this one took a bit of a different turn, which I was glad for. I was hoping the story would be different, I didn't want to read the same story line I had read with THG. I can also say that I like that the story does not focus purely on the romance between Cia and Thomas. It's nice to see that the story line has a purpose and meaning other than wanting to two main characters to get affectionate with each other every other page. And the story does have a lot of twists and turns you will not be expecting. Overall it was an interesting read, and I really want to see what happens in the next book, since this one ended with a cliff hanger!